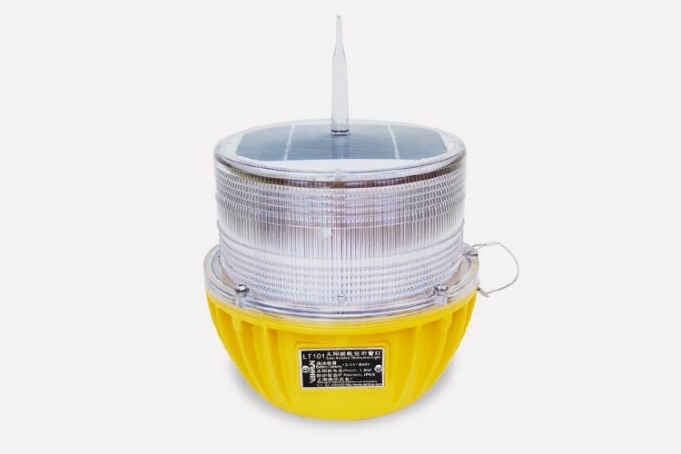 The WLS-10 is a solar aviation warning light designed for masts, tower obstacles (telecommunication, GSM, radio & television), tall cranes, chimneys, tall buildings, sport stadiums, light pylons, high voltage towers and any other potentially hazardous obstructions to air traffic. The WLS-10 solar aviation warning light is designed for masts & tower obstacles (telecommunication, GSM, radio & TV), tall cranes, chimneys, tall buildings, sport stadiums, light pylons, high voltage towers and any other potentially hazardous obstructions to air traffic. Featuring a flashing red safety light, the latest LED technology, a high grade silicon solar battery module and a maintenance-free NIMH battery, the light will provide over 20 days of continuous operation in rainy and cloudy conditions. The housing uses PC and a die-casting aluminium base, helping to provide good water tightness. The built-in photocell switches on and off at both dusk and dawn. The product has the advantage of shockproof and can withstand the harsh effect of the environment (such as thunder, storm, typhoon and hailstone).